This morning, I am satisfied. I have everything I need if just for today. 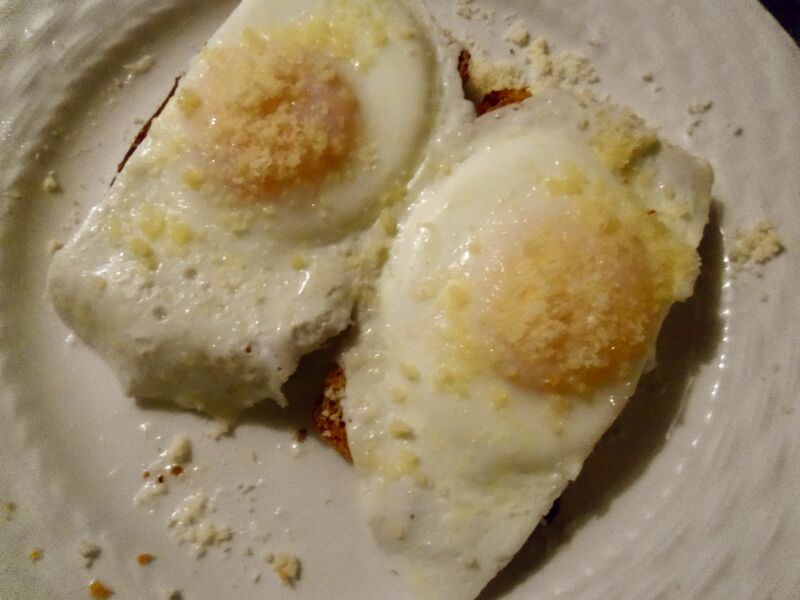 My pre-dawn breakfast: Farm fresh eggs, carefully basted, served on top of toasted, hearty homemade bread spread with rich, yellow butter made from the milk of grass-fed cows. 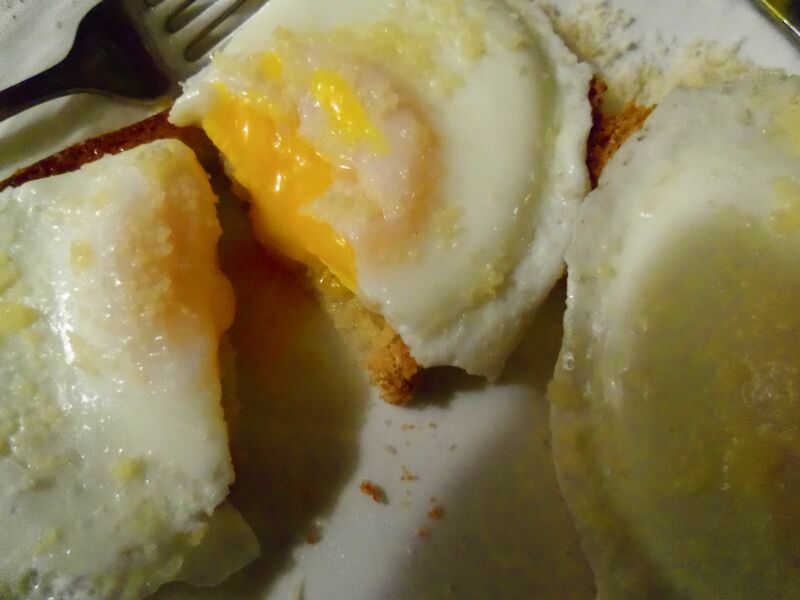 The thick-shelled brown eggs were laid a couple of days ago by the neighbor’s chickens, yolks bright and firm. Sprinkled on top, a tiny bit of Parmesan Reggiano. 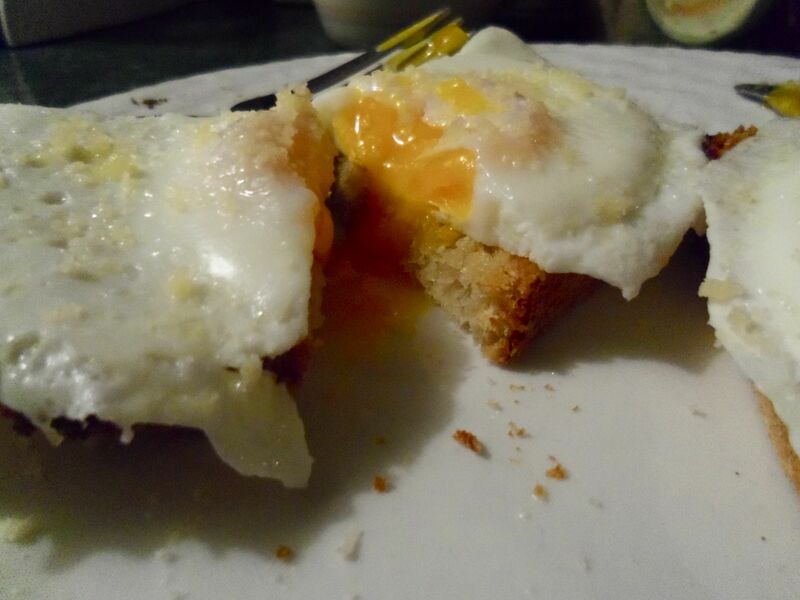 The cheese mixed with the runny yolks is a thick, delicious sauce with the perfect amount of rich saltiness. Full, satisfied and ever so grateful. How much richer can I be? What little pleasures made your day a little bit nicer?